Seattle, Washington has a very interesting City Skyline. I really enjoyed creating this. 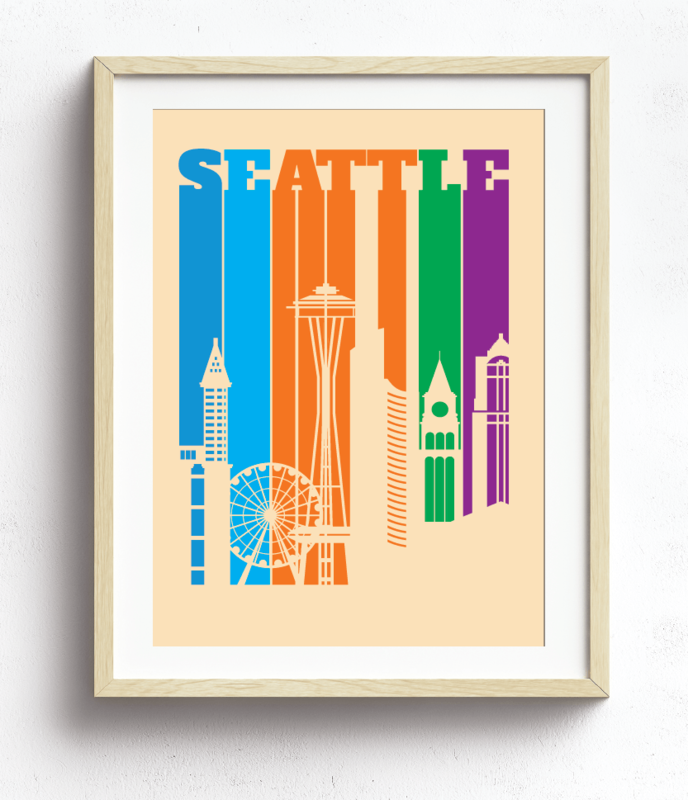 Big Bold Letters and Bright fun colors forming Stripes and ending in the silhouette of the Seattle Washington Skyline makes up this art. It is part of my Silhouette City Skyline Series. So much more to come.